1. The name comes from the shape of the original store at 34 Boulevard St. Germain in Paris. The windows to the street formed a diptych and the founders thought they were being clever, throwing in some extra letters. 2. When it opened, in 1961, it was a kind of bazaar, selling random products from across the globe. 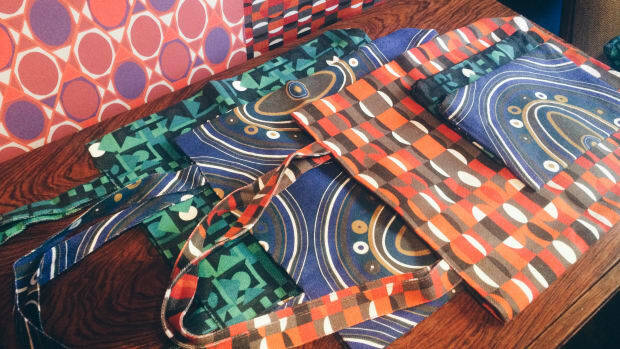 But it was the fabrics--crazy &apos;60s prints on cotton--that finally put them on the map. 3. They&apos;d paint the outside of the store a different color every week. It&apos;s fuschia now, the last color chosen by the three founders, Christiane Gautrot, Yves Coueslant and Desmond Knox-Leet. 4. Their first candles, thé, hawthorne and cinnamon launched in 1963, but their original eau de toilette, which launched in 1968, was based off a potpourri recipe from the 16th century. We go wading through the murky waters of beauty product safety with a cosmetic formulator, a safe product entrepreneur and the editor of a consumer watchdog publication. Ever wonder how beauty marketers make products perfectly appealing? We got to sit in a room full of those guys while they discussed marketing and branding at WWD’s Beauty Forum earlier this week. Sound boring? On the contrary--it was completely fascinating. This is an industry full of really smart people who know how to get you to buy things, and they have very a unique window into women’s psyches. We picked up a lot of insight and wisdom during the full-day forum and naturally we’ll share it. Fashion's favorite candle brand is expanding categories.